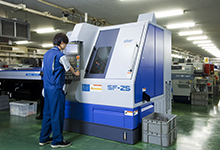 We explain the standards we adhere to as one of Japan’s leading machine processors of precision components. 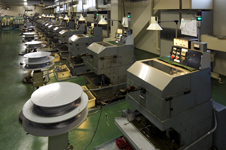 We have kept a firm position as one of the top companies among domestic watch parts makers since 1947. We also have built our unique high-precision processing technology, based on the accumulated know-hows through watch parts manufacturing. Now, we cover different needs of precision processing, such areas from electronics to medical parts. 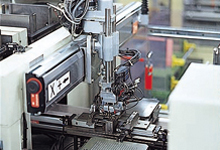 We are one of the few companies in which furnished with an integrated manufacturing system for precision parts. Covering cutting, plasticity, surface treatment, and assembling, we keep a good balance of quality, delivery, and cost, made possible by our integrated manufacturing. We have developed a trusting relationship with our users. 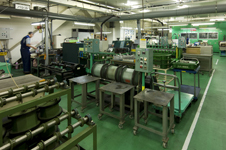 In our cutting lines, from simple turning to multi-function type of CNC automatic lathes can be seen. From extremely small diameters to large ones(up to ø32mm), the best processing can be selected for various needs of titanium and stainless-steel materials, etc. We have absorbed a good amount of know-how from other areas. One example is micro header manufacturing, and that is a necessary plasticity technology in molding precision parts. We are equipped with plating facility, and other facilities that enable irradiation, vacuum, carburization, and quench hardening. 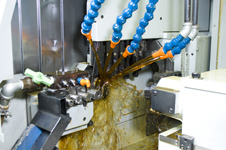 Applying after treatments assigned by users, we are manufacturing parts that meet demanded quality. Assembling process is an important operation that influences the performance of parts. We have established a system that provides uniform quality of parts by self-developed assembly robots. Company's organization, and our intention. Constructing firm trust by our production system attached great importance to the quality. 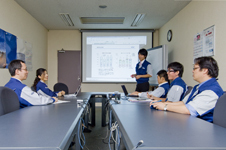 Our company has organized Quality Control groups in all sections. Bidirectional effort of two systems, in which a bottom-up QC system in charge of research and improvement, and a Top-down TQM system in charge of management by objective, has paid off in various areas, such as decrease of defectives, no accident at work, and decrease in production cost. 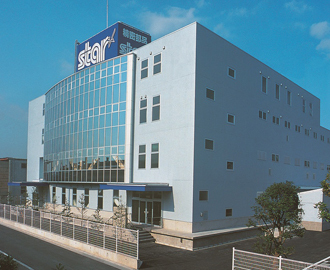 Our passion for pursuing higher quality at company-wide includes the attitude of managers and the morale of employees, and also has constructed our production system attached great importance to the quality across all departments, which has built a trust for those parts made by Star Micronics. Furthermore, our division has obtained ISO9001/14001 Standard certification for greater compatibility with our individual market needs. Production line that runs for 24 hours in the most advanced factory. Our Fujimi factory adopted a quake absorbing structure that endures the earthquake level of magnitude 7. The idea of [factory that does not shake] secures the production environment which can run after an earthquake. Further, dome cameras with automatic observation function and other sensors are prepared for emergency matters for 24 hours. Factories filled with the sense of [security] are equipped with well managed production lines. Machine plants are centrally controlled, and raised the level of delivery date and product quality at large scale by strengthen the management at production sites. Also, 24-hours unattended production is made possible, which leads to our attempt to constructing more stable supply of our parts. To satisfy the growing need for precision component machining worldwide, Group companies in China contract machining for local companies. Shanghai S&E Precision Co., Ltd.
Star Micronics Manufacturing Dalian Co., Ltd.